Langemak & Sons is a hand-fed letterpress print shop in Madison, WI. The shop owns and operates a 1907 Chandler & Price 8×10 platen printing press. Additional shop equipment includes a 24 drawer Hamilton type case containing movable lead type, various cuts and borders, furniture, and various other accessories. The equipment was originally acquired by the Langemak family in January of 1989 from the Waldo Print Shop in Waldo, WI. The Langemak family used the press for various projects (including Lyndon Town Cards) the press and equipment was then displayed in a local museum for several years. In September of 2011, the equipment was transported to Madison where Langemak & Sons was established. 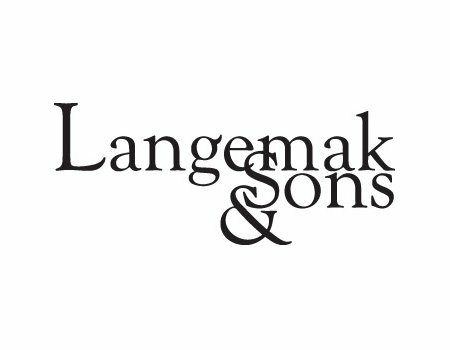 Langemak & Sons now creates small runs of unique items for sale locally and online. We hope you enjoy our shop as much as we do!